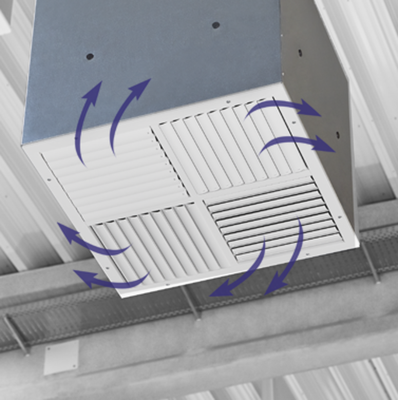 Type VD ceiling swirl diffusers have adjustable air control blades. 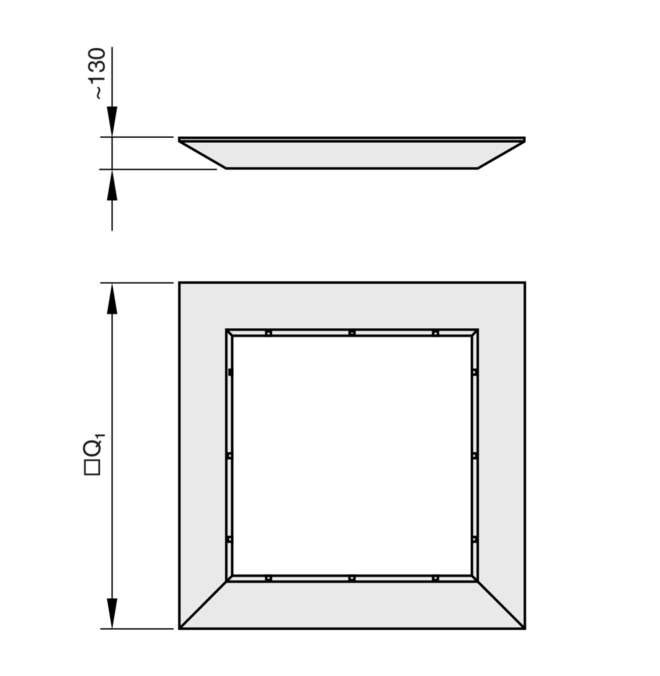 Different air patterns allow for cooling or heating mode, or for the adjustment to varying loads. 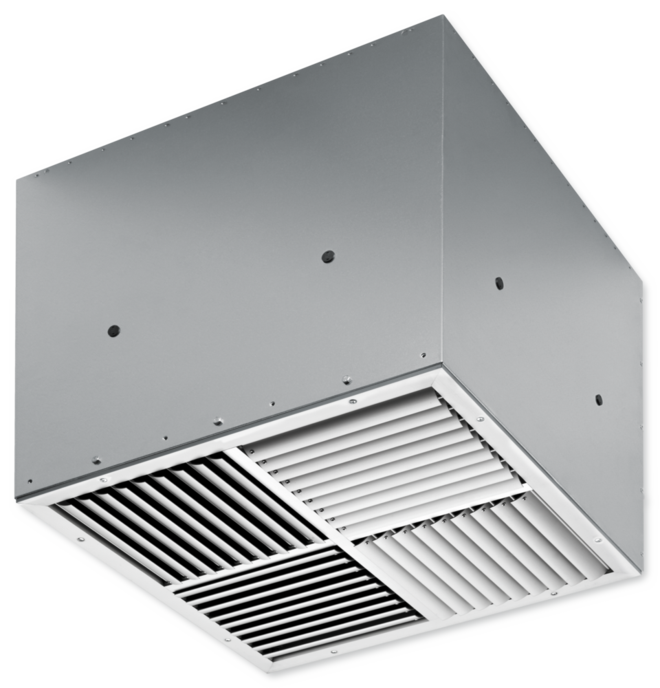 Horizontal air discharge is omni directional. 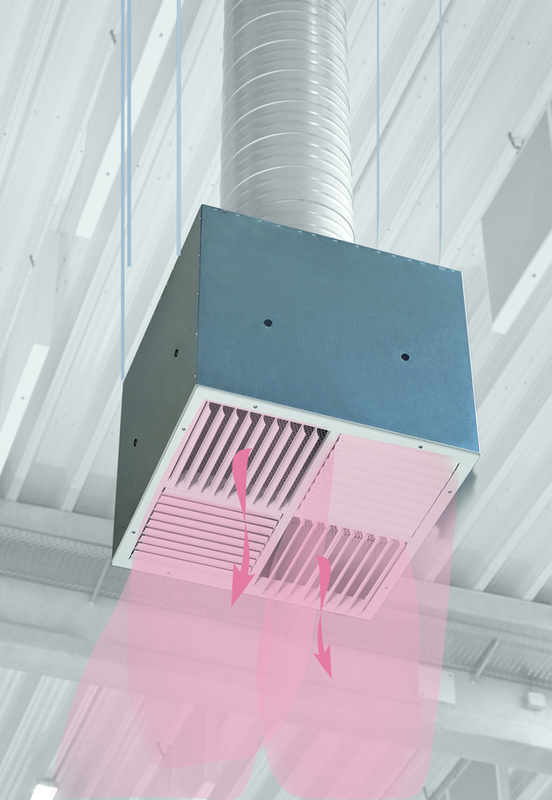 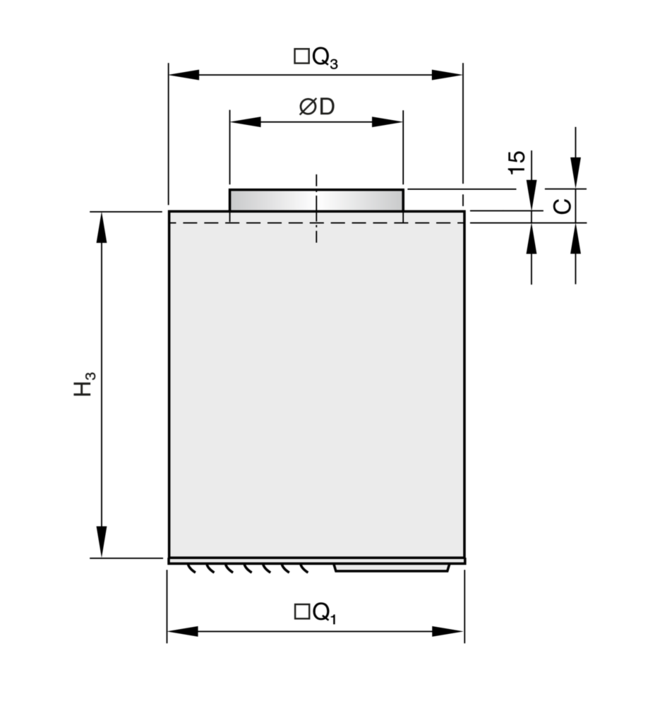 Vertical air discharge is possible in heating mode. 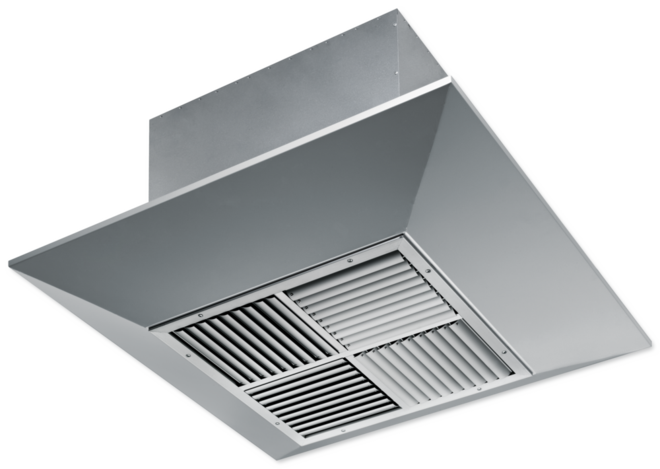 The supply air to room air temperature difference may range from –12 to +15 K.
An actuator (optional) adjusts the blades based on demand. 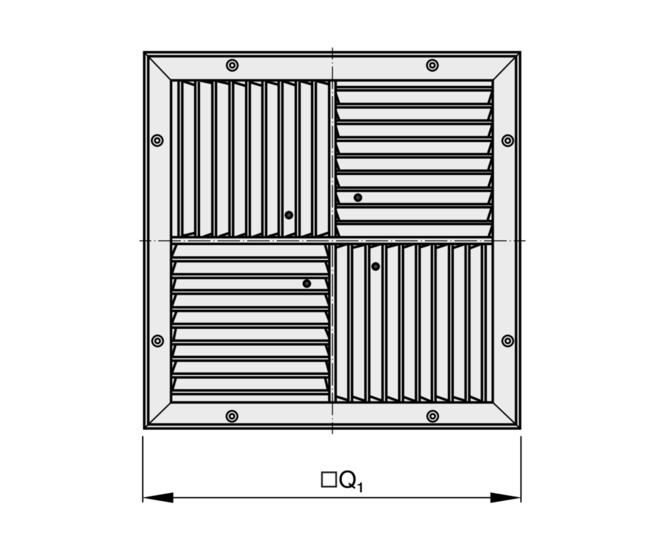 Ceiling swirl diffusers with square diffuser face for high rooms in comfort and industrial zones. 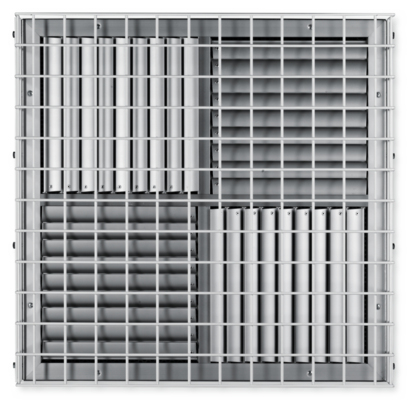 For supply air only. 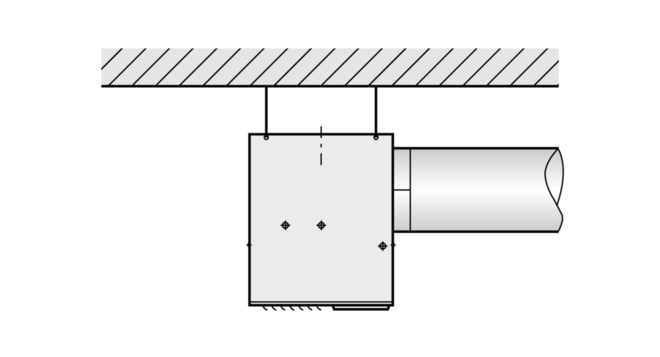 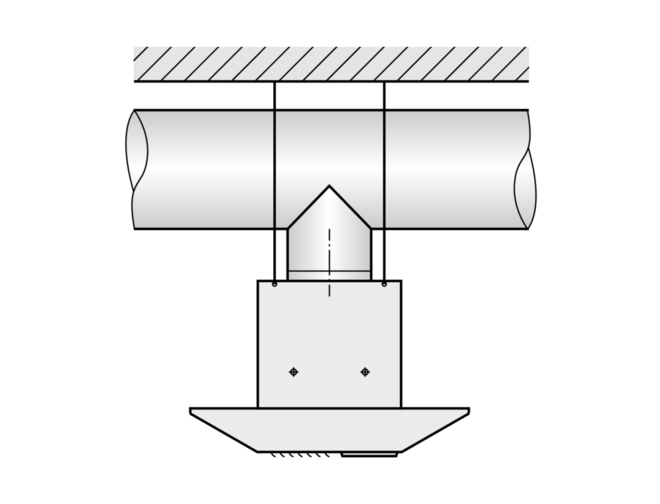 Blades in diagonally opposed sections can be adjusted for air discharge from horizontal (0°) to vertical (90°). 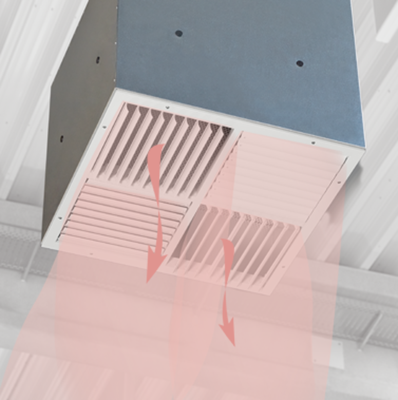 Horizontal air discharge with high induction. 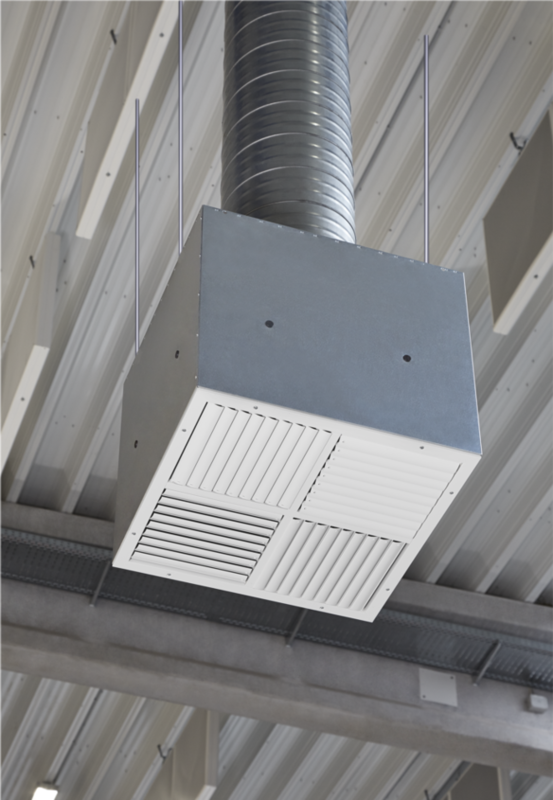 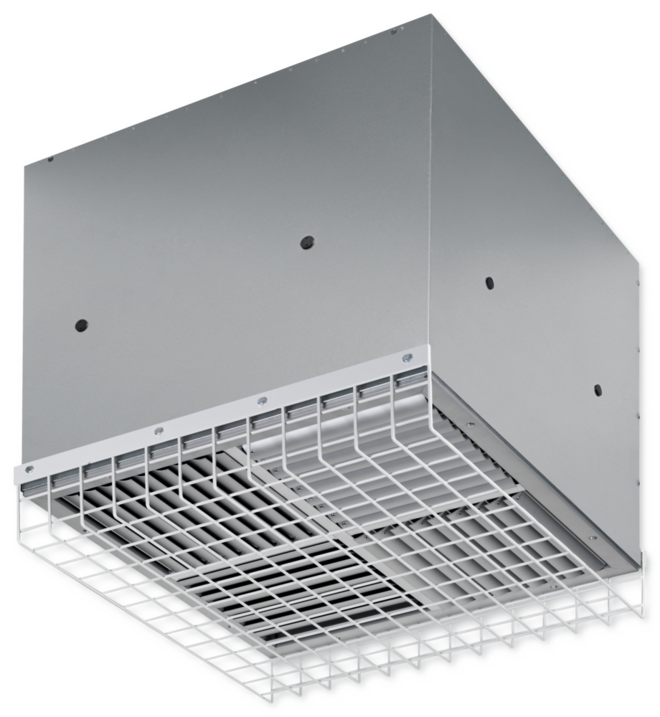 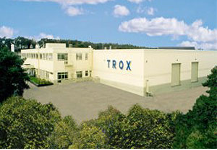 For freely suspended installation or for suspended ceilings of all types. 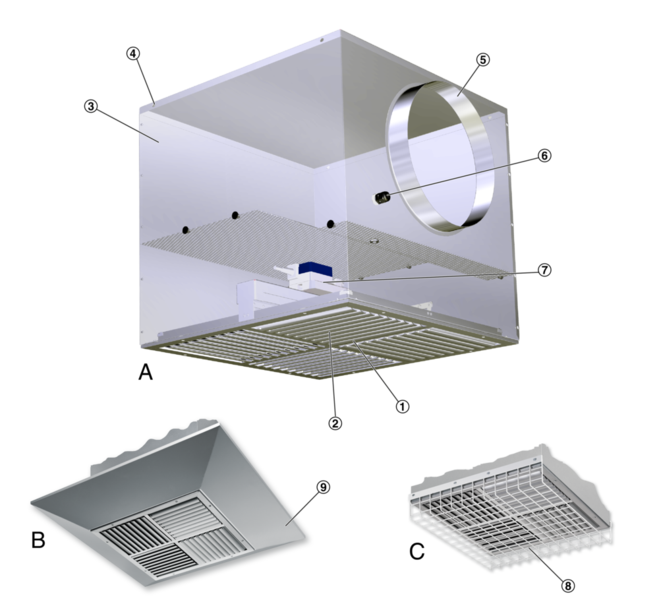 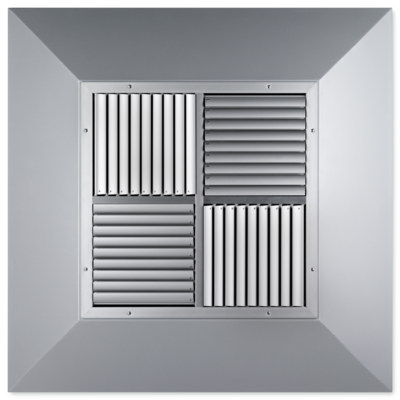 Ready-to-install component which consists of the diffuser face with four equal blade arrays, a cross bar for fixing the actuator, a plenum box with side entry or top entry spigot, and suspension holes. 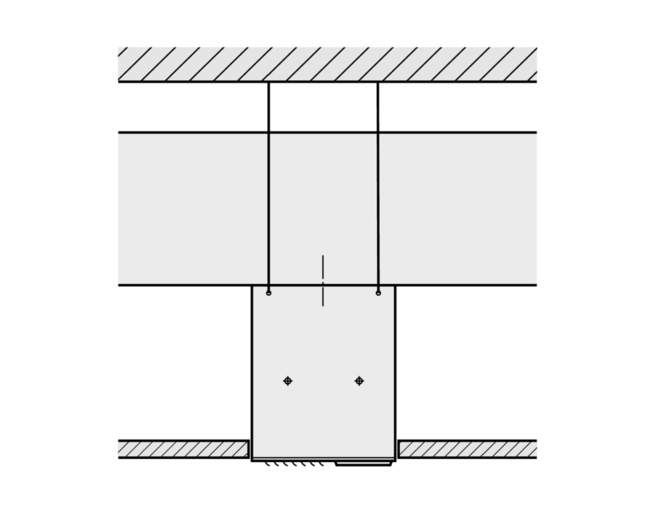 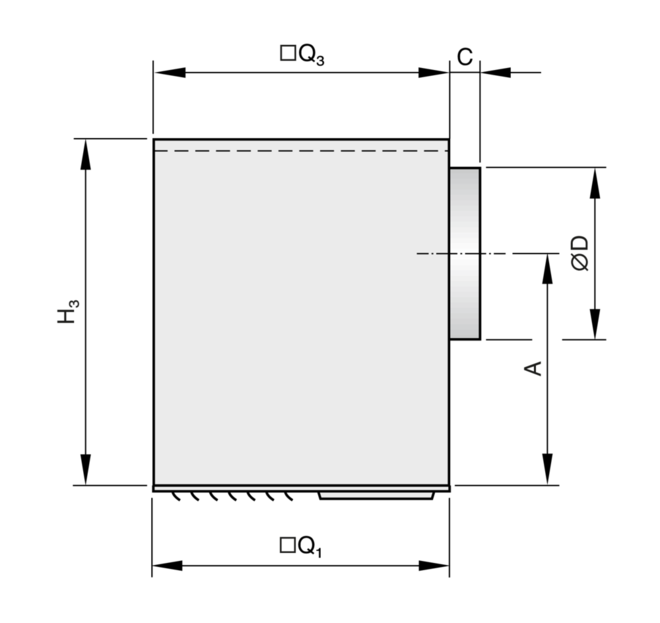 The diffuser face is fixed to the plenum box with a screw.